Seems the proggies received the same memo (see my previous two posts). Residents in Washington state already have “access to affordable health care” via free and low cost clinics. In my search of seven counties throughout Washington (out of 39 total counties) I came across 159 clinics. That fact won’t stop the TDS-infected governor from implementing another bureaucratic/big government program. Inslee announced his proposal flanked by a variety of lawmakers at the King County Downtown Seattle Public Health Clinic Tuesday morning. He was joined by King County Executive Dow Constantine, State Rep. Eileen Cody, State Sen. David Frockt, State Senator Karen Keiser, and the state’s Insurance Commissioner Mike Kreidler. 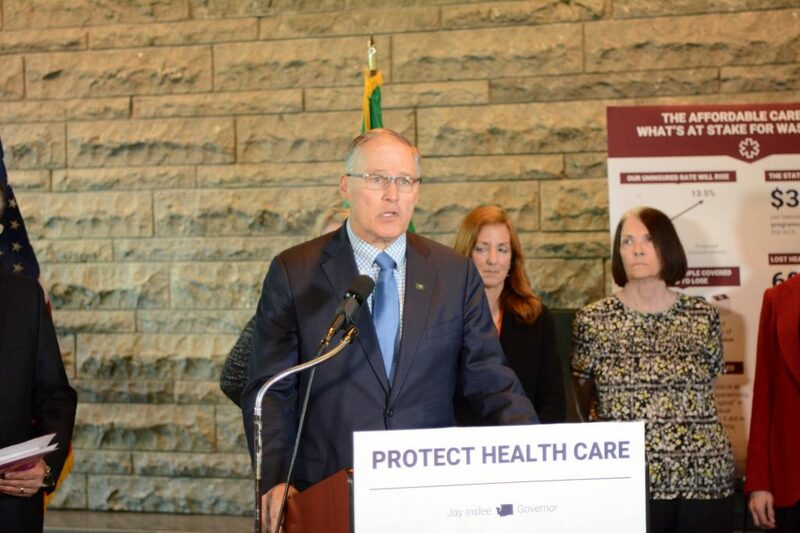 According to Inslee, the proposed Cascade Care bill will direct the state’s healthcare authority to provide coverage across Washington by contracting with one or more healthcare carriers. That coverage will begin in 2021. That coverage will be available to anyone in the individual market. It will also set reimbursement rates consistent with Medicare. Using the service will be voluntary and patients will spend no more than 10 percent of their income on premiums. Officials said Tuesday that it will cost the state $500,000 to set up the new system and accept bids from carriers. Costs beyond that weren’t specified. Inslee, and other lawmakers present, pointed a finger of blame at the Trump administration, saying that it has worked to remove healthcare protections provided by the Affordable Care Act, aka Obamacare. Inslee said that there are 14 counties in the state that are on the verge of losing healthcare coverage altogether. The governor also noted the work that has already been done to provide healthcare in Washington over the past few years, primarily through the state’s exchange: More than 800,000 Washingtonians have gained access to healthcare; Provided coverage to 30,000 cancer survivors in the state; and Provided 90,000 people with substance abuse treatment.